With Father’s Day right around the corner, Sunday June 16th, many of us are looking for the perfect gift for Dad. It’s all about showing your Dad that you love and appreciate everything he’s done for you over the years, and there are many ways that you can express that. Like for example, letting dad sleep in that day, or making and serving him his favorite food, or giving him a nice card with a unique gift – like the long lasting green plant for his office. He’ll think of you every time he looks at it and smile. 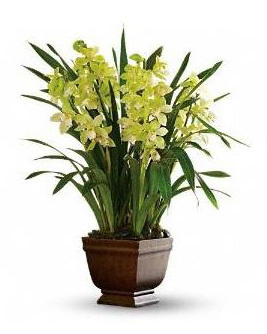 Plus you’ll be happy to know that the plant will purify the air in Dad’s office and help set a nice relaxing mood. There is a growing trend to express love and gratitude for fathers with a bouquet of flowers. Really? Yes, Dads like flowers too! We are yet to meet a man that hates flowers. In fact, Roses are the official flower for Father’s Day. In many countries, people wear a rose on Father’s Day to express gratitude for their Dads. When it comes to the color of your Father’s Day flowers go with red, orange, or vibrant yellow. 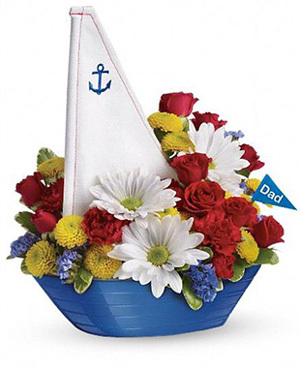 We have many cool Father’s Day gifts that are sure to make Dad smile, like the Father’s Day flower bouquets with keepsakes (Boat, Ford Truck, Fire Engine). Another popular idea is to send Dad a gift basket filled with chocolates, fruits, nuts or a mix of stuff. 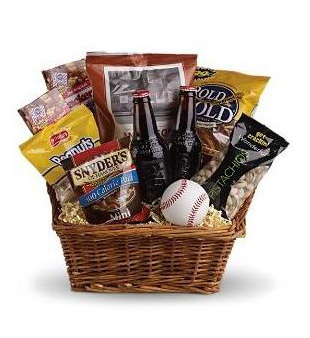 If Dad has the taste for gourmet, then he’ll for sure love the gourmet gift basket. You can have it delivered to his place of work, and let the jealousy run high! We get busy this time of the year with so many celebrations going on, so order now to avoid disappointments. Be sure to include a nice message on a card and let us know of any special requests that you may have. We’d love to work with you to create a surprise Dad will never forget. 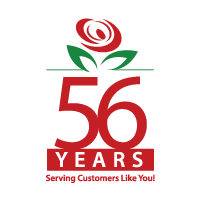 Being affiliated with FTD, Telelfora and Interflora allows us to deliver your Father’s Day gift anywhere in the world, no matter where Dad is located. So whatever your gift is this year for Dad be sure to put some thought into it… don’t just give him a necktie.